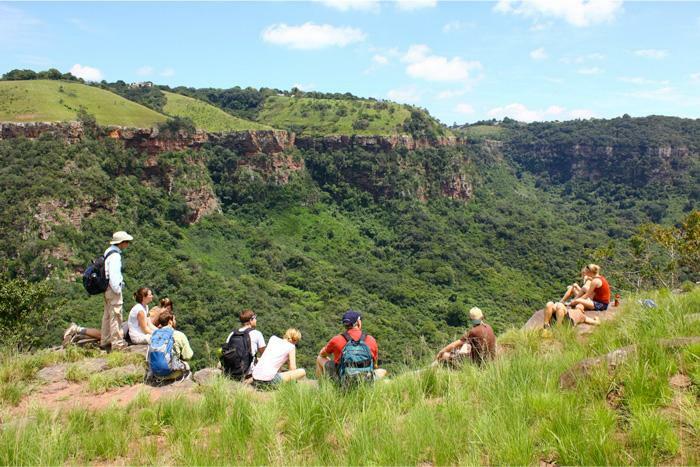 After COP17 in Durban, South Africa, students hiked in the Valley of 1,000 Hills. Photo courtesy of Neil Leary. The multiple dimensions of climate change will be open for examination as part of Dickinson’s 2014 Global Climate Change Mosaic. Following intensive class work, students in this unique interdisciplinary program will attend the 20th Conference of the Parties (COP20) to the United Nations Framework Convention on Climate Change in Lima, Peru. Currently ongoing with three courses—Global Climate Change, Global Environmental Challenges and Governance, and Independent Research on Global Climate Change Governance—the Mosaic is immersing students in the science, politics and risks of climate change. Dickinson students last attended COP17, which took place in Durban, South Africa, in 2011, and Neil Leary, director of the Center for Sustainability Education (CSE), hopes the trip to Lima in late November will provide an equally rich, hands-on experience. Students will meet various stakeholders, among them negotiators who struggle to find common ground on issues swirling around climate change. Through interviews with participants, students will gain valuable firsthand knowledge of the goals, values and priorities of those involved in climate negotiations. "A lot of my friends did COP17, and it changed their lives," says Justin McCarty '15, one of the Mosaic's 14 participants. "These events are defining moments in our global civilization, and I'm excited to be a part of that." “If the Durban conference is any indicator of what the students will learn, they’ll have a new appreciation for how very difficult it is to solve global problems in a timely fashion when 195 countries, literally, are involved in the negotiations,” says Niemitz, noting the “astounding” level of compromise needed among developed, developing and underdeveloped countries to make headway on the issues at hand. Students—majoring in anthropology archaeology, economics, earth sciences, environmental science, environmental studies, international studies and Latin American-Latino-Caribbean studies—will collect their observations and use the interviews they conduct to craft research papers upon their return. With the intense level of interaction and the sheer number of events, the source material could be as varied as the approaches to addressing climate change, and it’s an experience students won’t likely soon forget.